As the lightest engine in its class, the BF20 is a portable powerhouse. 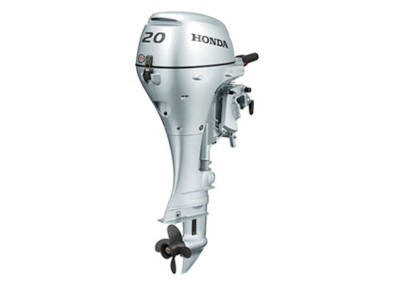 It's ideal for small fishing boats, sailboats or as a kicker for a larger fishing boat. The BF20 also has one of the largest displacements in its class, giving you big performance. And with 4-Front Corrosion Protection and Fresh Water Flushport, you get increased reliability and convenience. 350 cc / 21.4 cubic in. 1.30 l (1.14 imp. qt) with oil filter repl. 350 mm / 13.7 in. 563 mm / 22.2 in. 235 mm x 254 mm / 9-1/4 x 10 in. 58.5 kg / 129 lbs. Are you Interested in the BF20DK3LHGC?